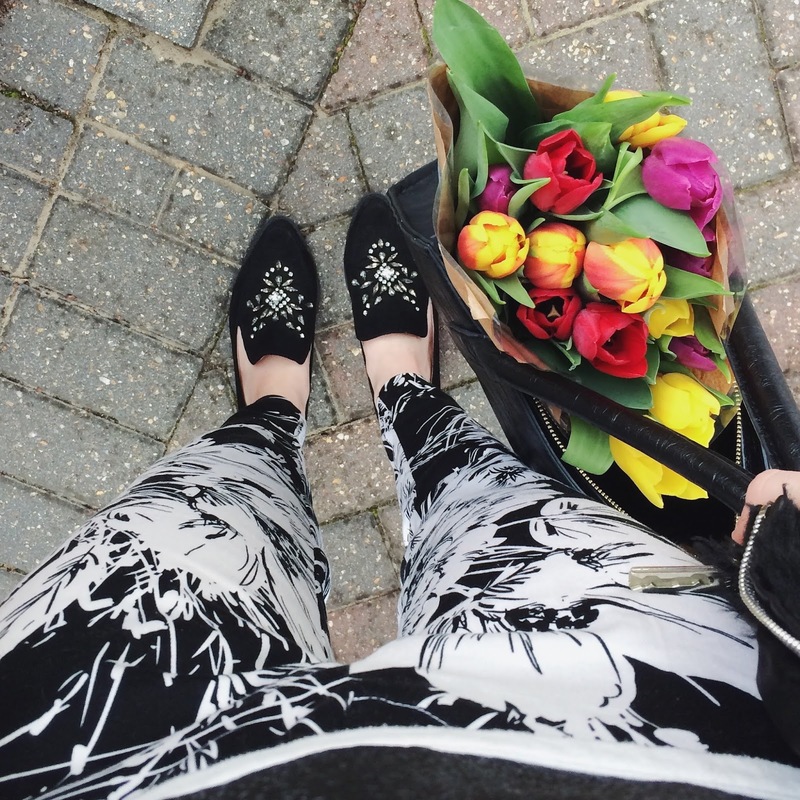 You'll never guess where these snazzy floral print cigarette trousers are from… oh yes PRIMARK! I rarely go in there but on the odd occasion that I do, I have been lucky enough to find some bargain buys, such as these which were only £10! I love skinny jeans but there's something satisfying about a well fitting pair of trousers, they make an outfit look that bit smarter and also provide comfort! Thankfully my wonderful mother adjusted these for me so they fit perfectly which i've realised makes all the difference in the world! At 5ft 2 i'm only teeny and have always had a petite frame, which has its perks but I find that clothing varies so much from store to store, that it is impossible to find trousers which fit nicely, so going forward I am going to employ my mum as my tailor!